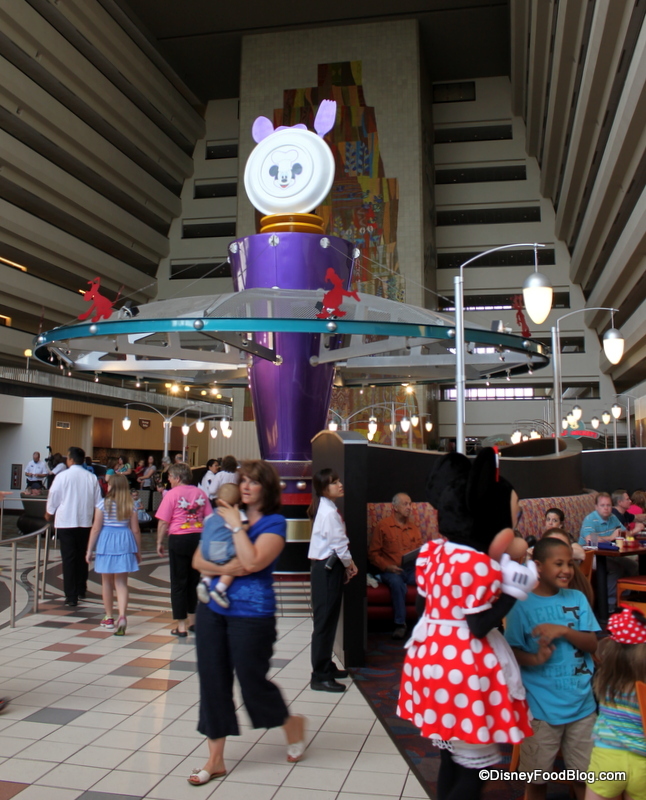 It has been too long since I’ve taken a trip to Chef Mickey’s in Disney World’s Contemporary Resort! We’ve shared with you our review of their breakfast buffet. But today, we’re heading there to see what’s new for dinner! 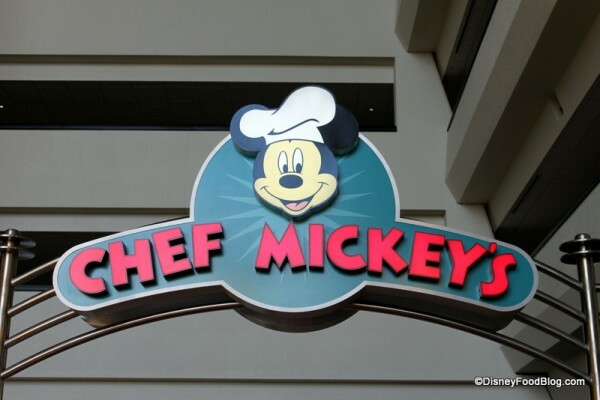 When many people think about a “Disney character dining experience”, they immediately think of Chef Mickey’s. This one has it all — the Fab Five, a sprawling buffet of family-friendly foods, regular raucous celebrations, and monorails whizzing by. But in the past, the food has had a reputation for being a little lackluster. Time to see how things are looking these days… . We have a lot to cover, so let’s get started! 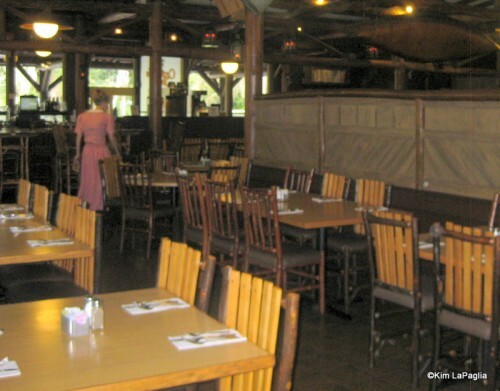 One of the coolest things about Chef Mickey’s is its location. You’ll find this well-known character meal at Disney’s Contemporary Resort. 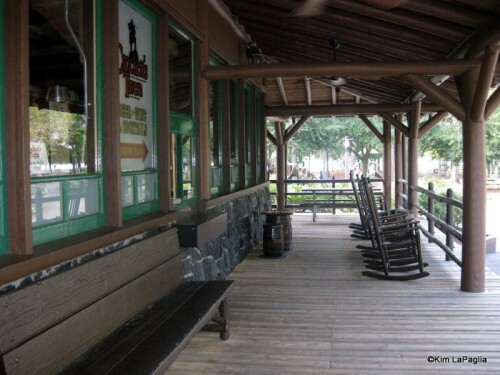 This place is a stone’s throw from the Magic Kingdom in Disney World, which makes it a great place to stop and eat before heading into the park, or after a long day of rides and attractions. Once you enter the hotel’s main floor lobby, take the elevator to the fourth floor. Chef Mickey’s is located on the south end of the concourse, right below where the Disney World monorail enters the building. 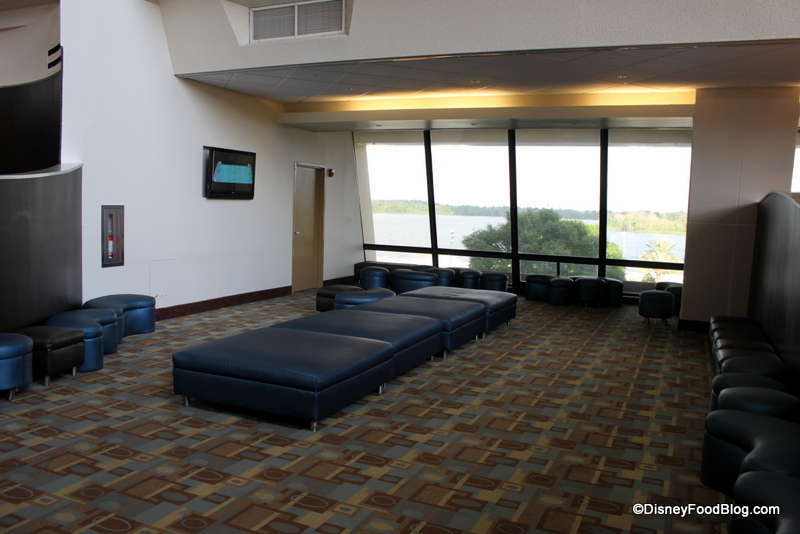 (You can also arrive at the Contemporary via said monorail, of course — in which case you’d take an escalator down to the 4th floor). Head to the central desk to let the hostess know that your party has arrived. 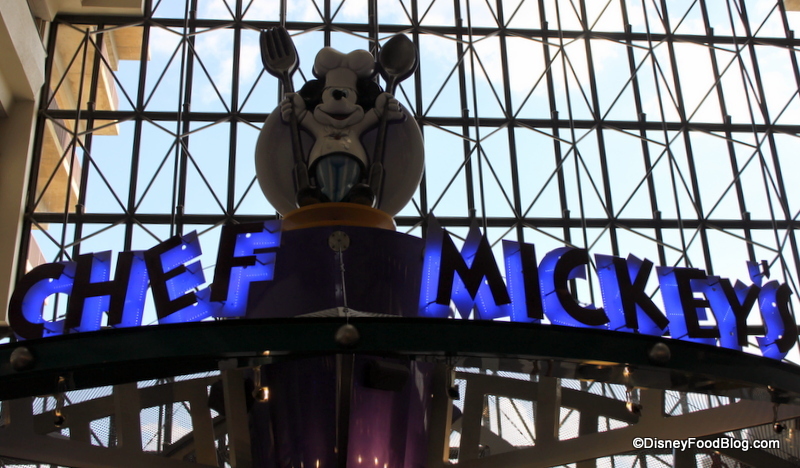 You can’t miss it — Mickey is smiling down with his fork and spoon, ready to greet you! If your table isn’t quite ready, you can wait until your party is paged in this comfortable seating area. This spot features a view of Bay Lake and the resort’s pool patio — and offers plenty of room for running off excess energy. Trail’s End in Disney’s Fort Wilderness Resort has gone through a few changes over the past year. A new a la carte menu at lunch is winning raves, and now a new baked potato bar at the dinner buffet is heartily praised as well! Can’t wait to hear your comments! The Trail’s End restaurant is especially fun because of the journey it takes to get to Fort Wilderness Resort and Campground. Whether you arrive via bus, boat, golf cart or bike, you’ll find yourself naturally immersed in this far-away setting. 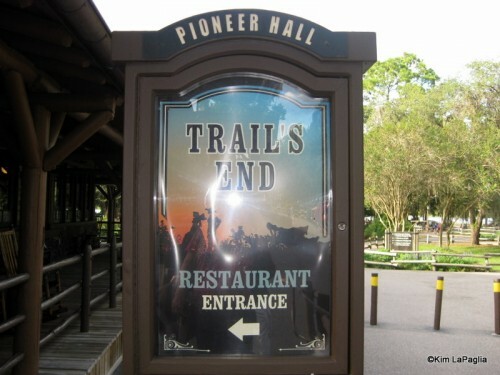 Trail’s End is nestled in the Settlement area of the resort, which is also home to the popular Hoop-Dee-Doo Musical Revue dinner show, Crockett’s Tavern, and the Settlement Trading Post, which serves as the general store. Trail’s End, Crockett’s Tavern, and the Hoop-Dee-Doo share space in Pioneer Hall, where visitors can sit for a spell in a rocking chair or play checkers on the porch. Inside, the rustic atmosphere invites guests to unwind while savoring a buffet comprised of down-home good eats.